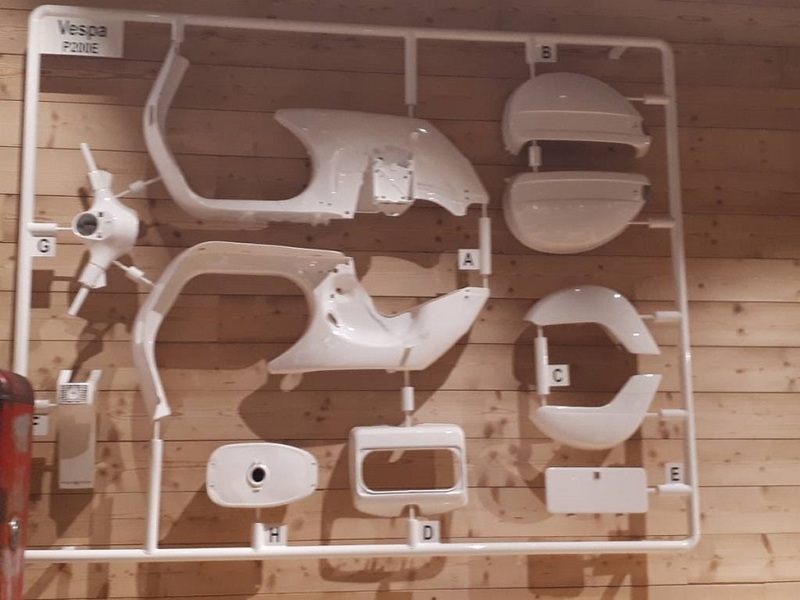 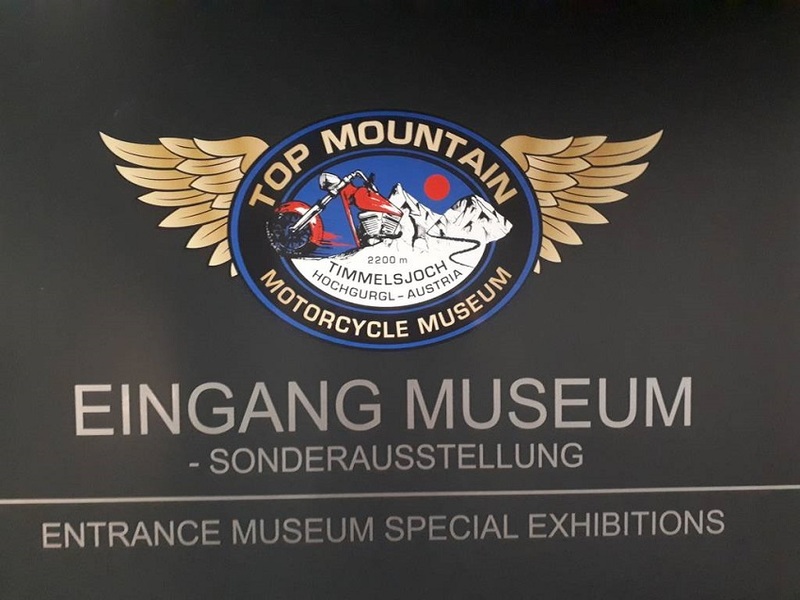 Came across this museum whilst we were on holiday this year. 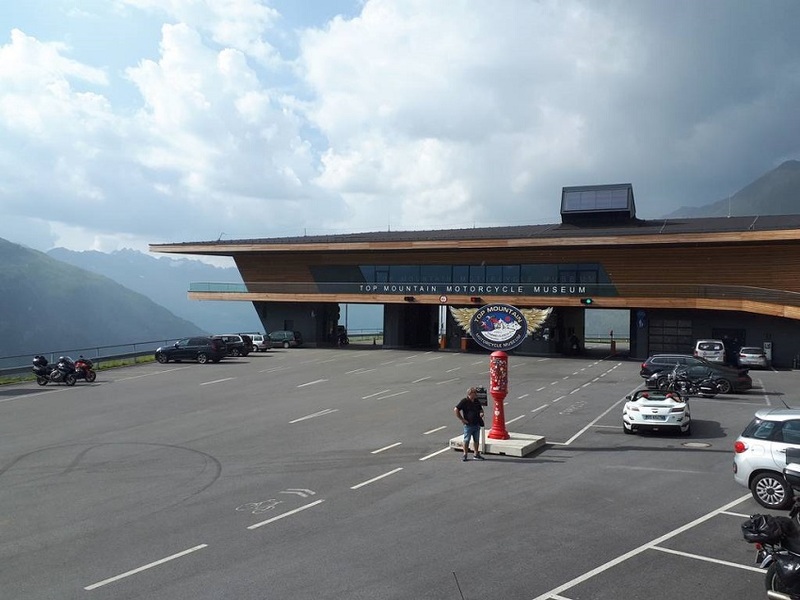 We had been doing some pass bashing when we came to the toll point on the Timmelsjoch pass. 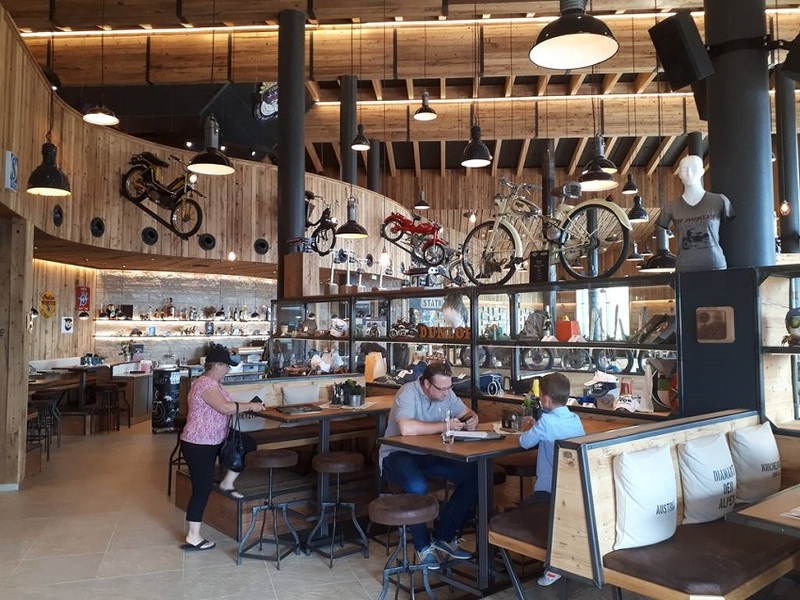 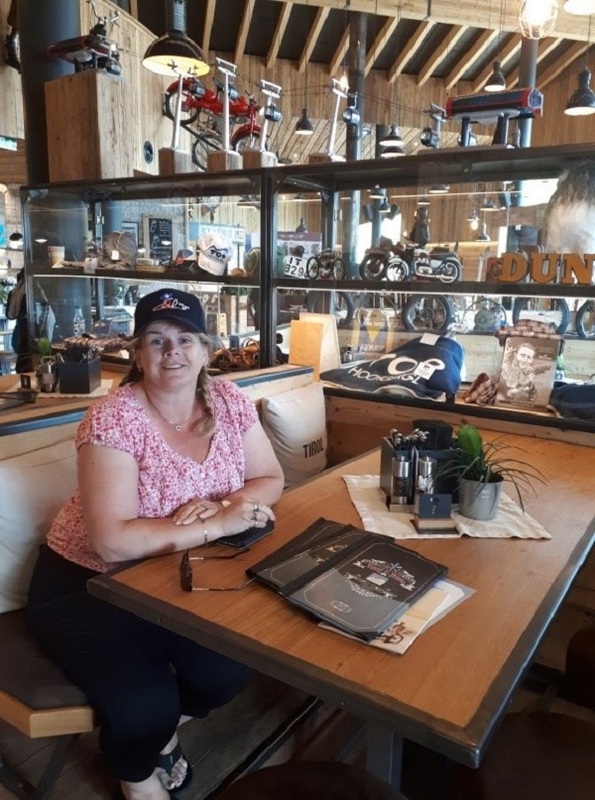 As it had a cafe we stopped for a coffee and cake break and was pleasantly surprised to find the cafe was full of motorcycle memorabilia, in fact there was a complete outfit above the entrance. 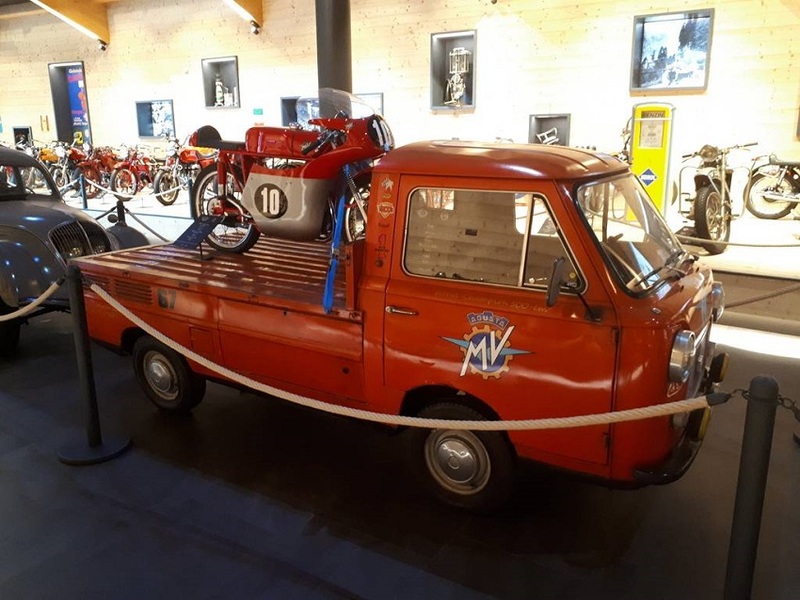 Helen had noticed that it mentioned a museum on site so she made enquiries and convinced me it would be worth the 10 Euro’s each admission charge, and boy was she right. 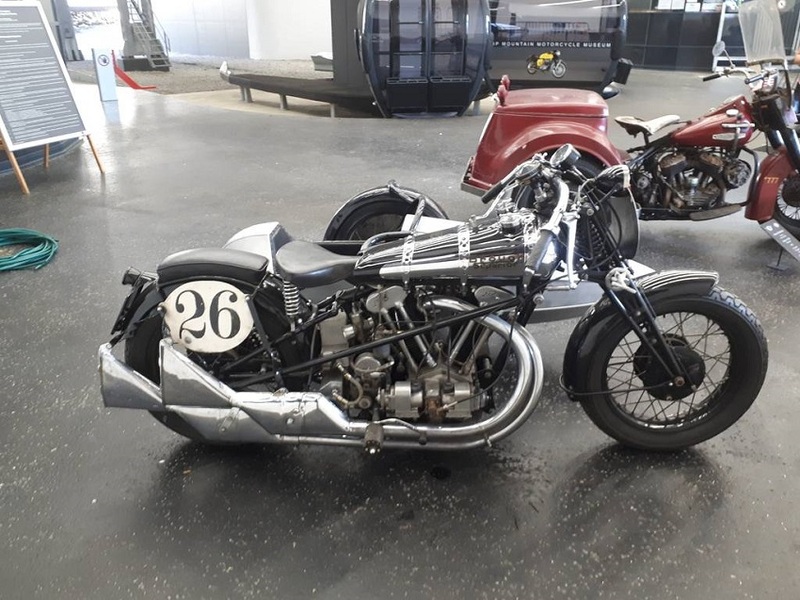 As you enter you go past the ski lift, which just happens to have a Brough Superior racing outfit and a Harley trike next to it. 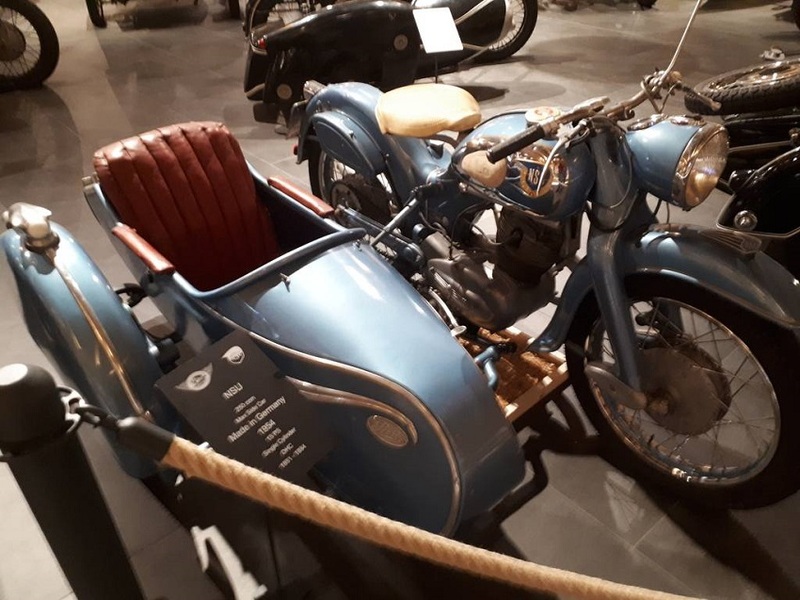 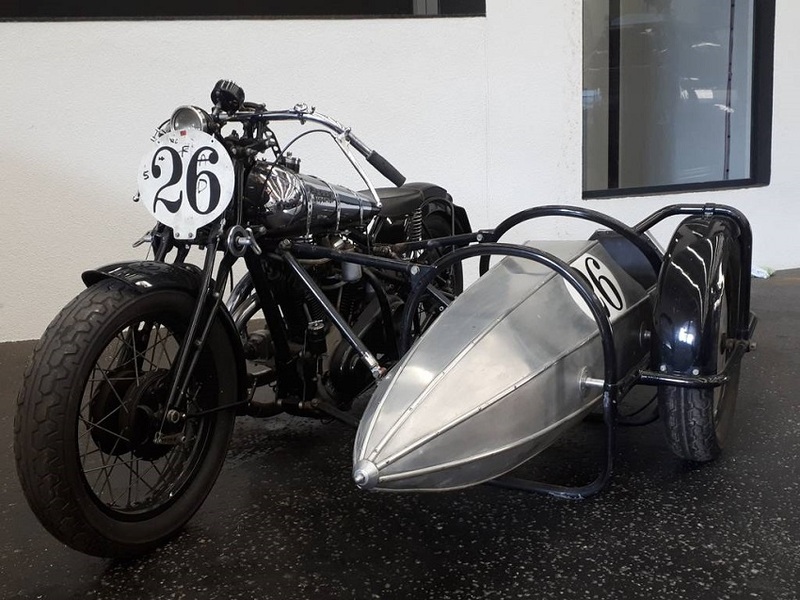 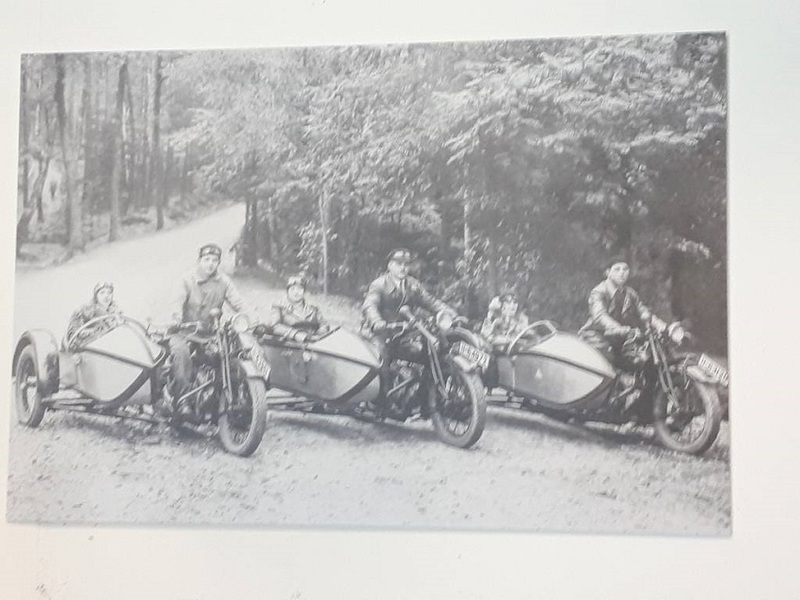 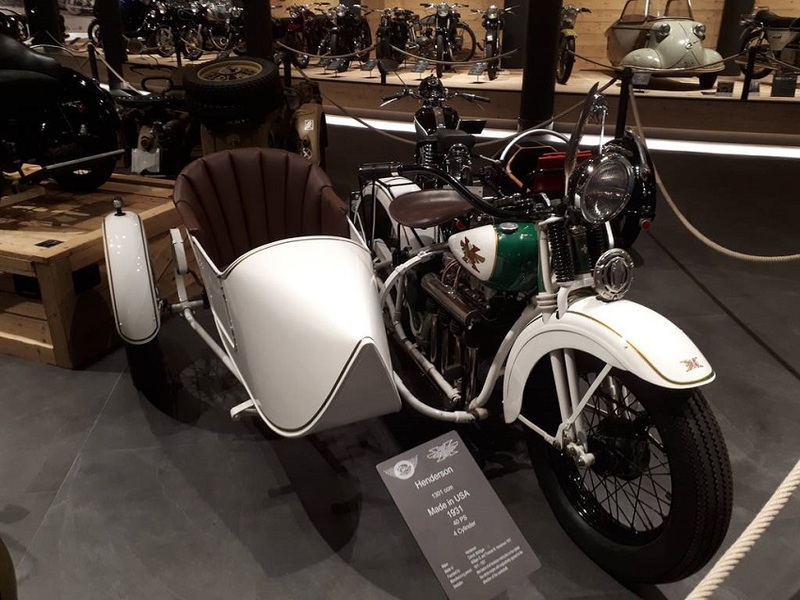 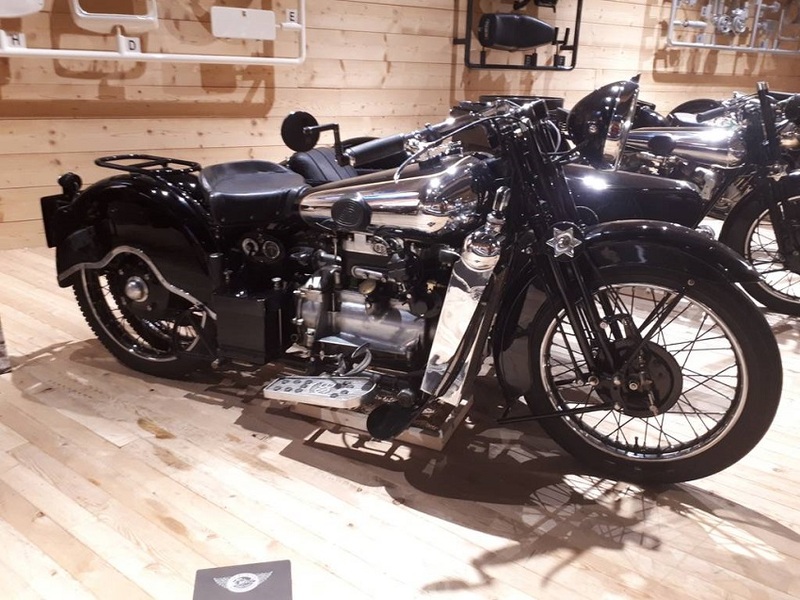 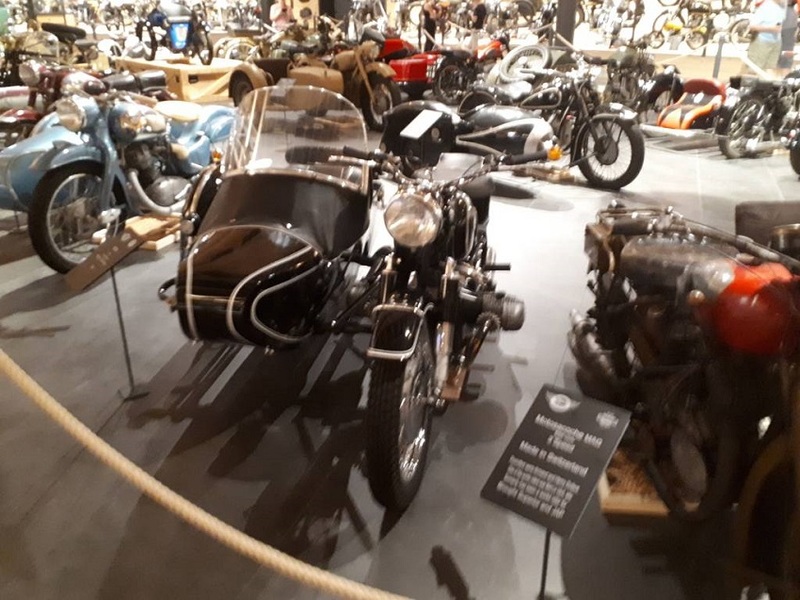 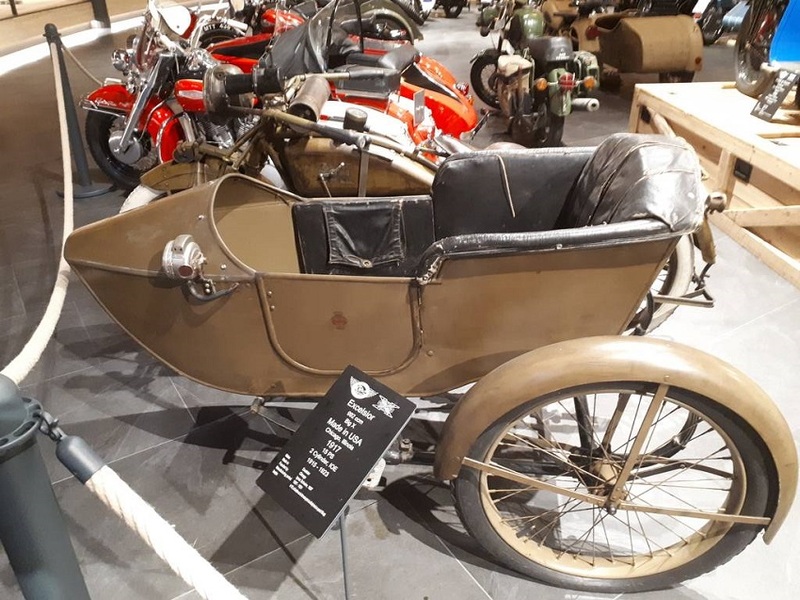 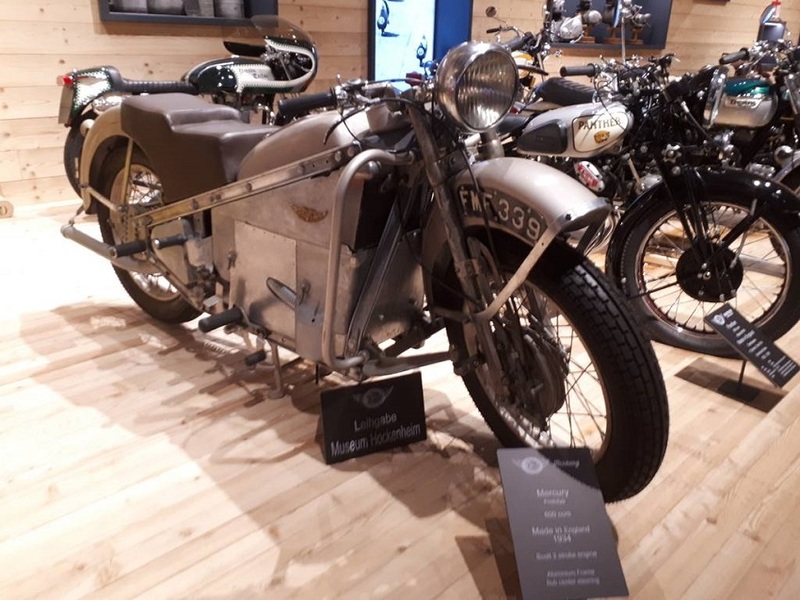 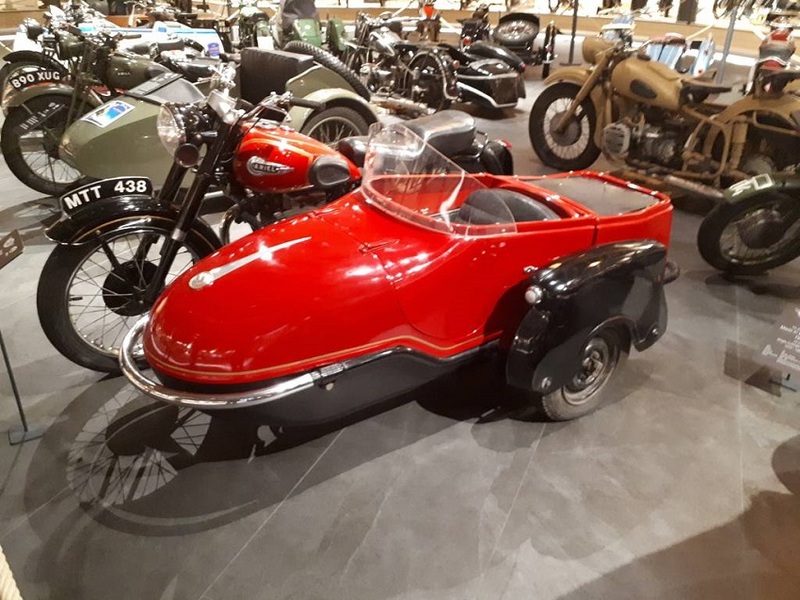 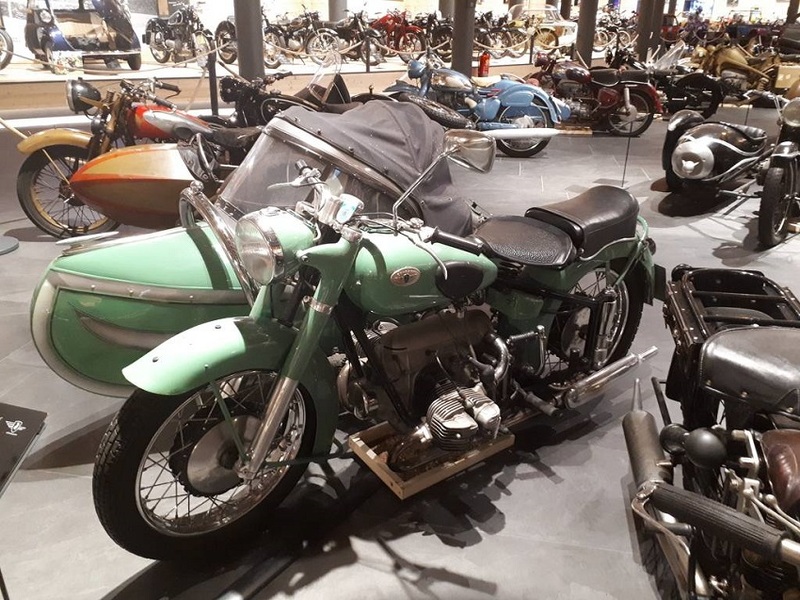 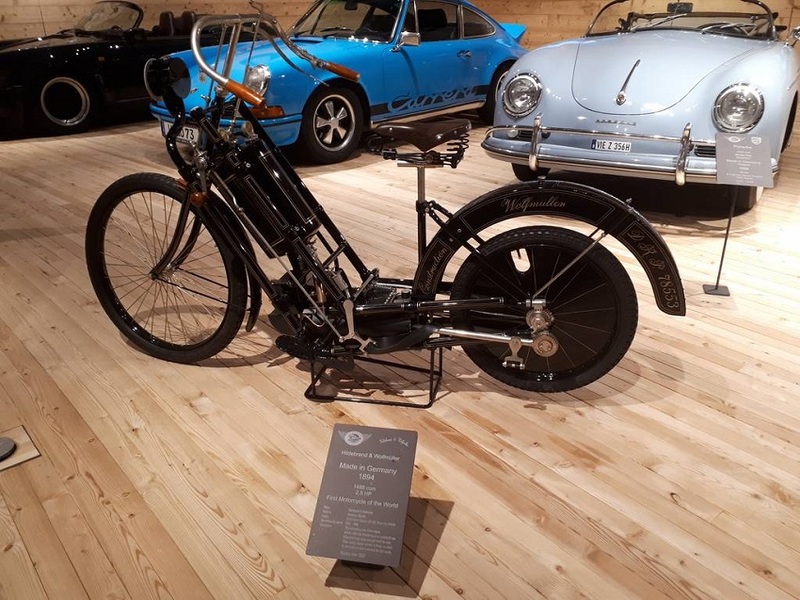 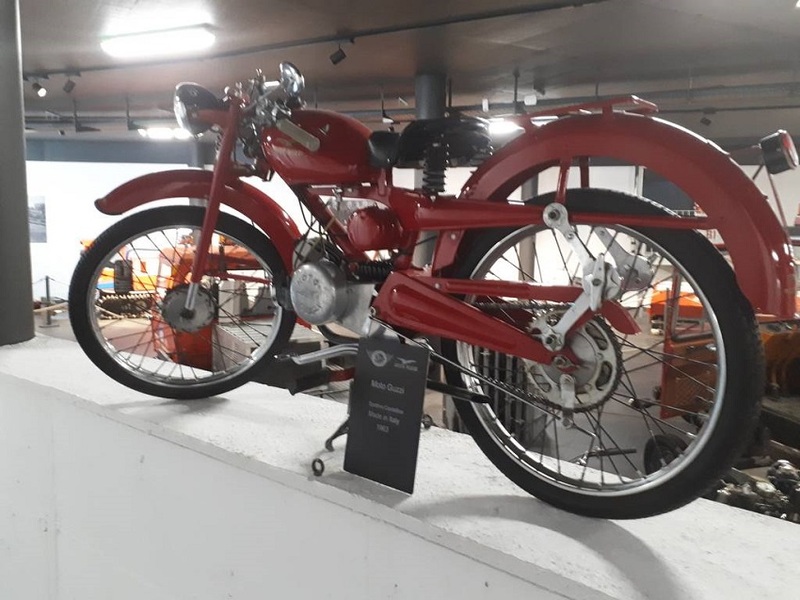 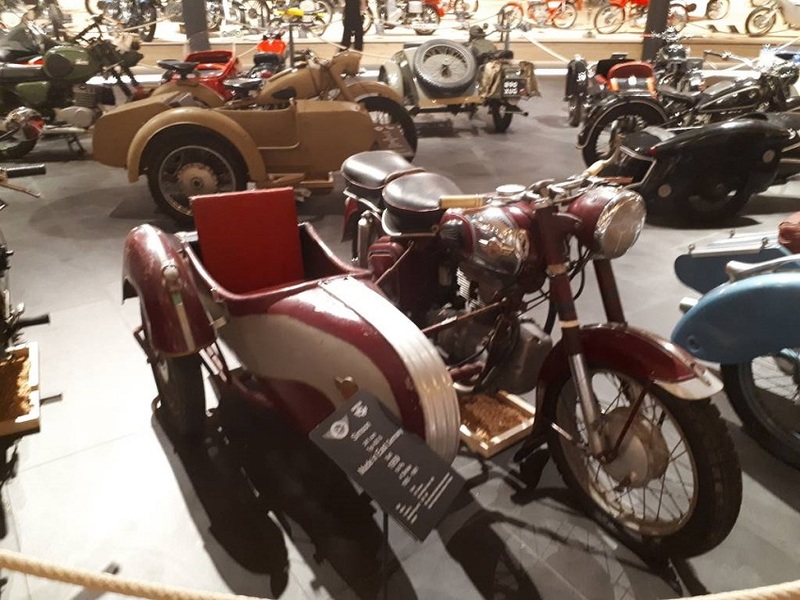 We entered the first room, it has a few bikes on display, along with various snow mobiles and snow slope vehicles on display, one which for a second, I thought was a Canterbury Carmobile sidecar until I realised it was a snow bus. 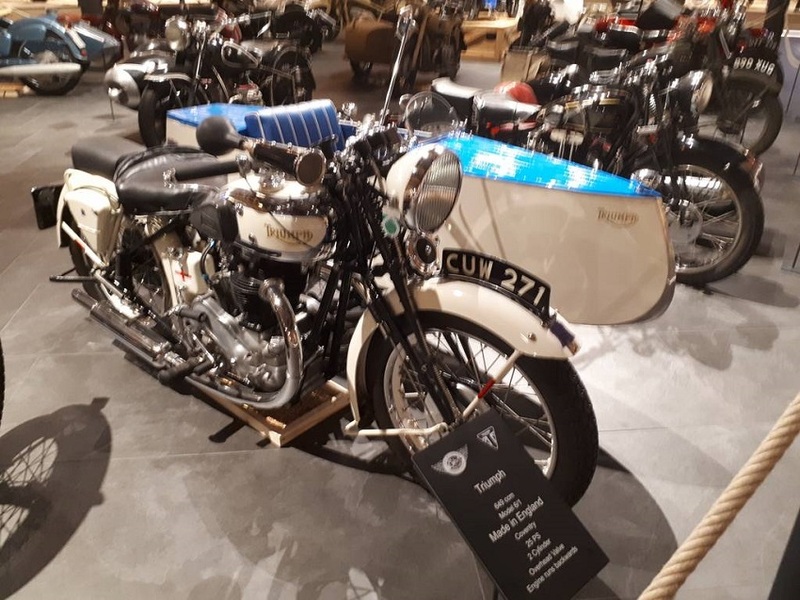 We had a browse around this then went to the next room. 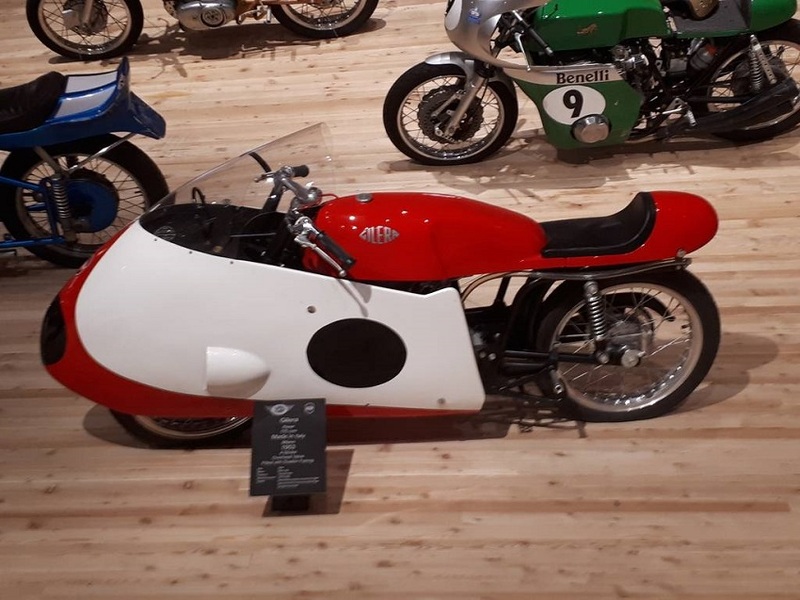 Well I was totally gob smacked. 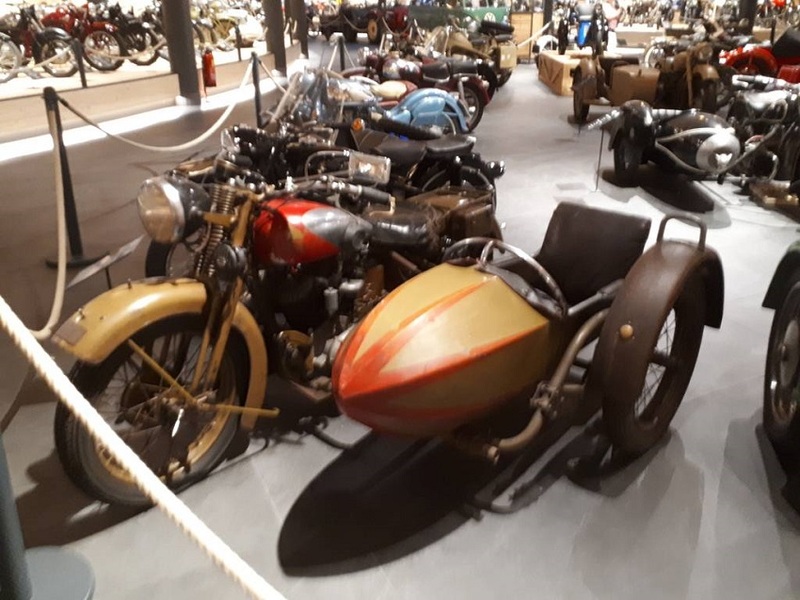 On the right as you went in was a couple of old racing cars , tricycles, old fuel pumps etc and on your left was a complete row of about 8 Broughs, starting with the Austin engine version with twin rear wheels. 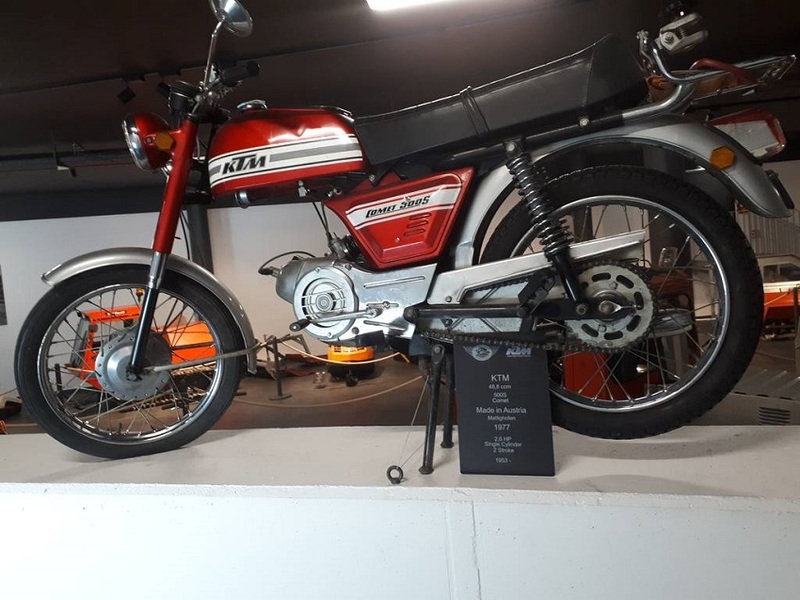 There were only 10 ever made. 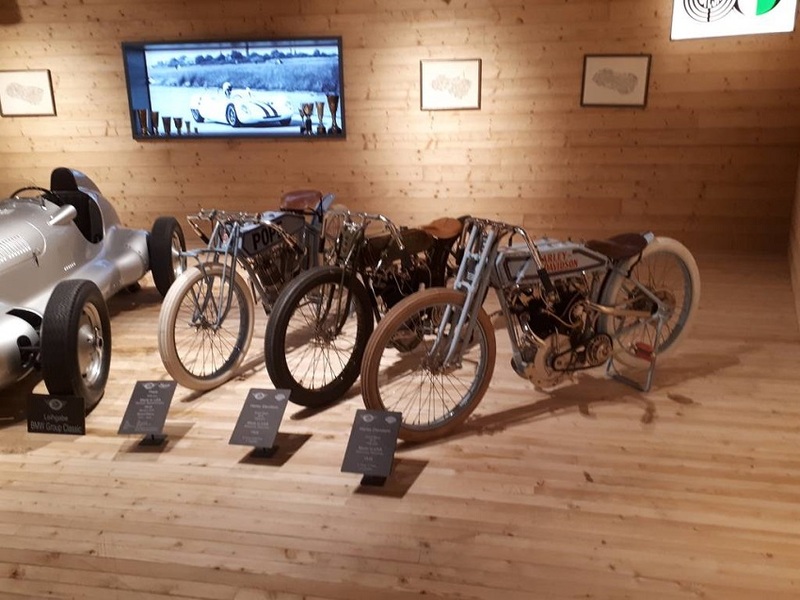 After marvelling at all the Broughs you turn around to find a display of outfits in the middle of the room. 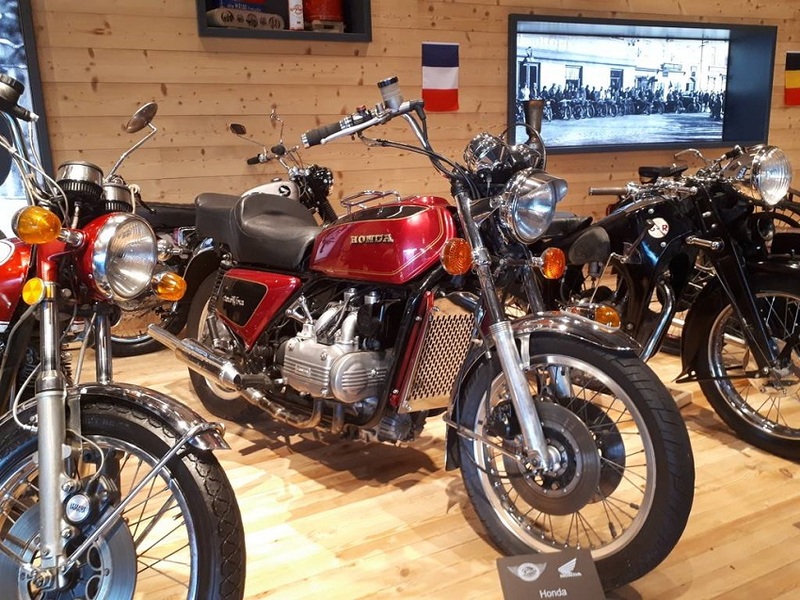 Now working your way down the rest of the room you are surrounded by bikes from all eras and countries. 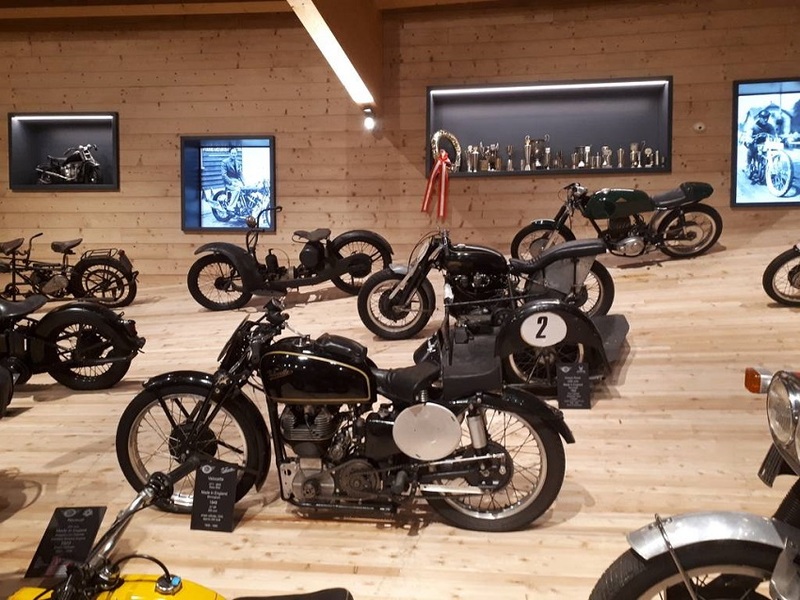 This leads down to a workshop display and a viewing platform looking out over the mountain pass. 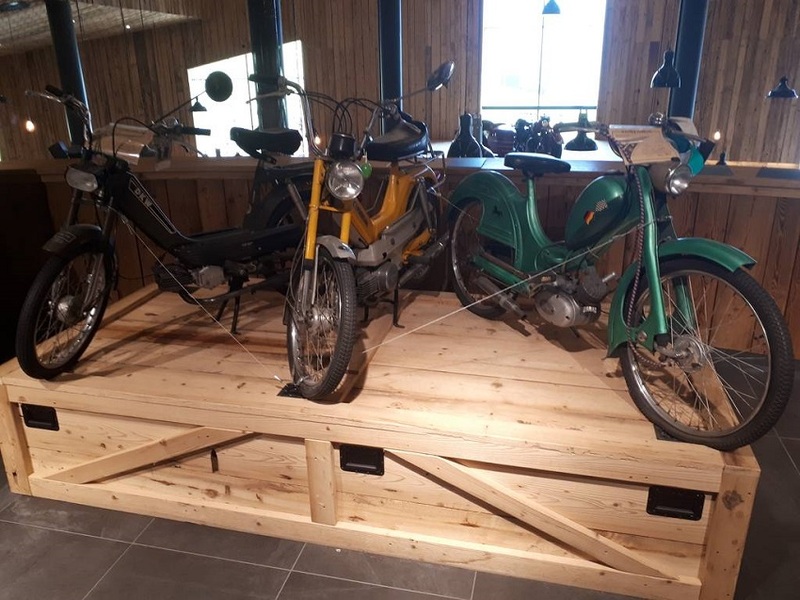 Once you finish in the main room you exit back to the café via a third room that had scooters and mopeds in it. 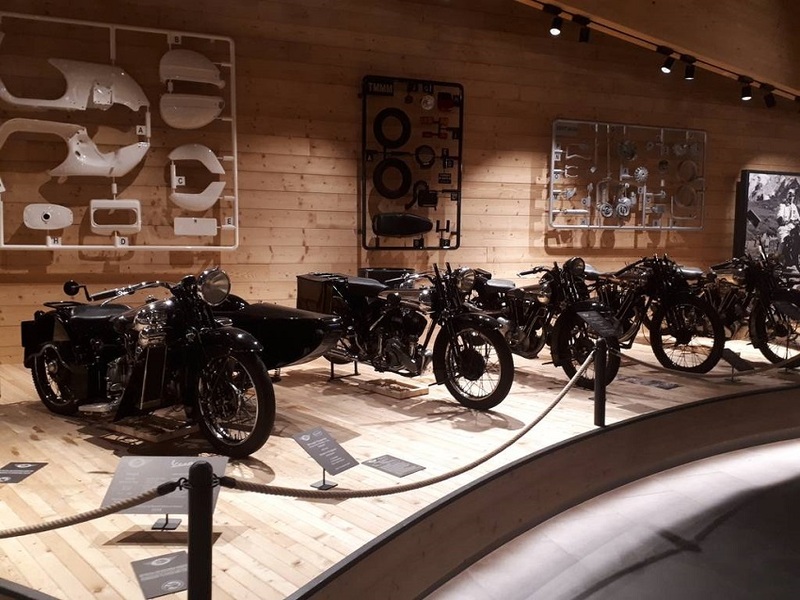 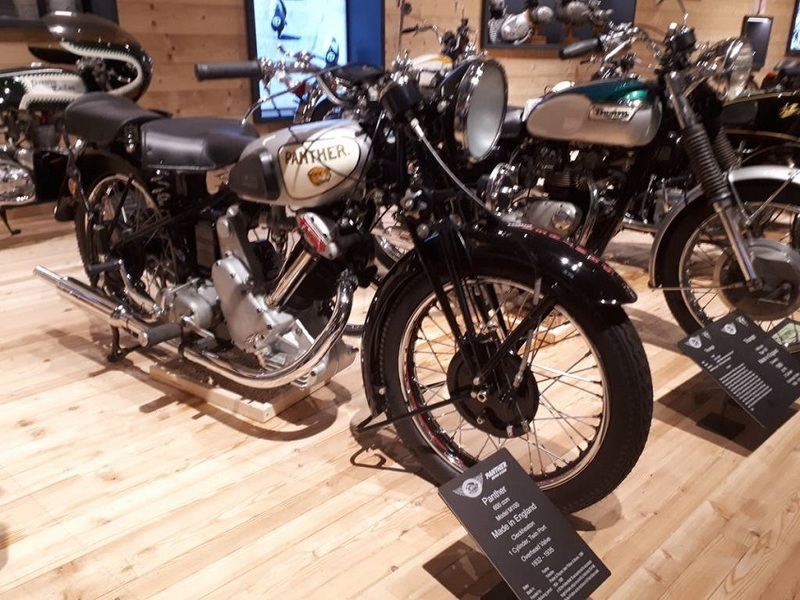 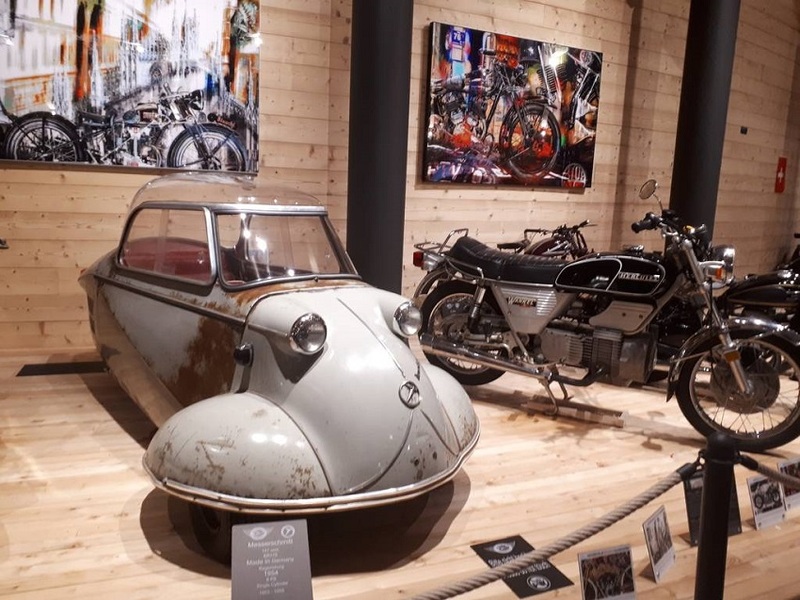 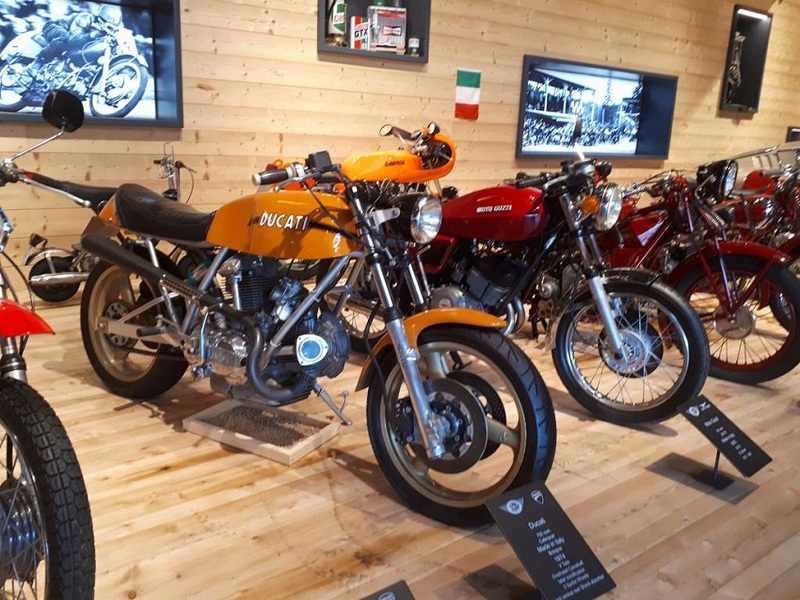 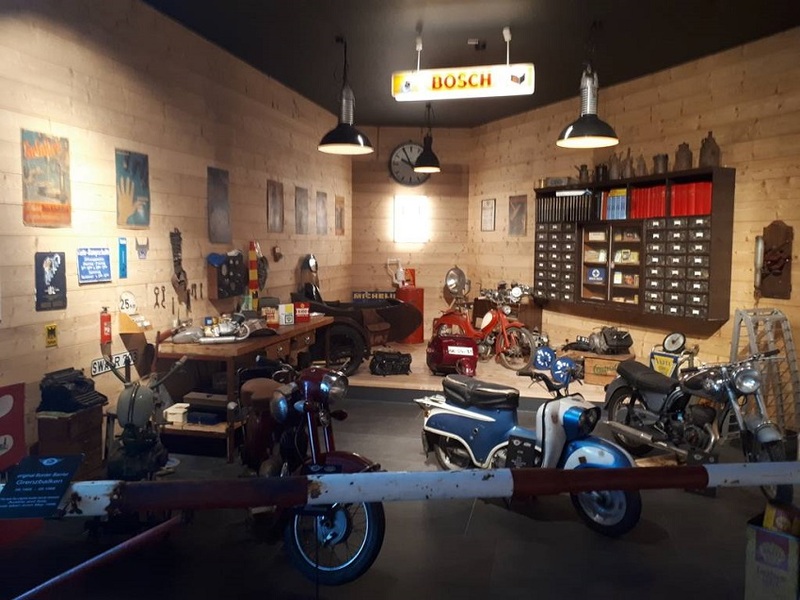 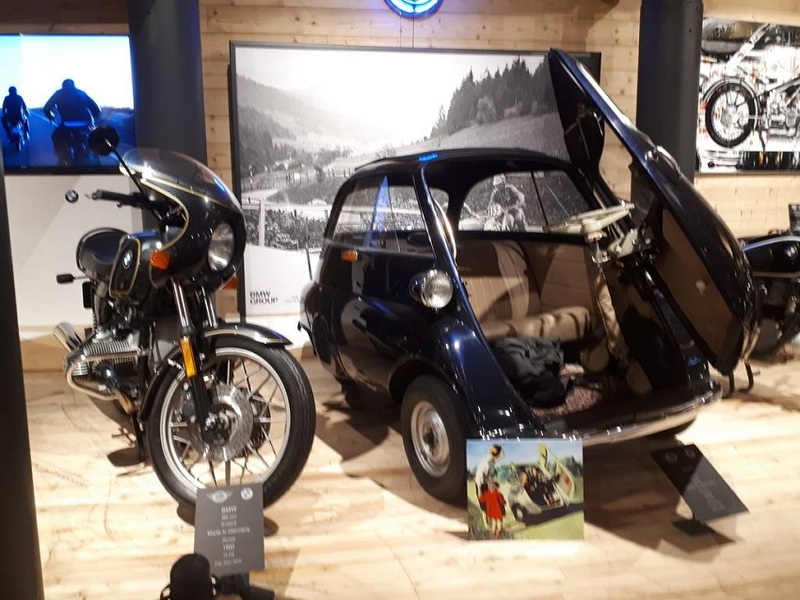 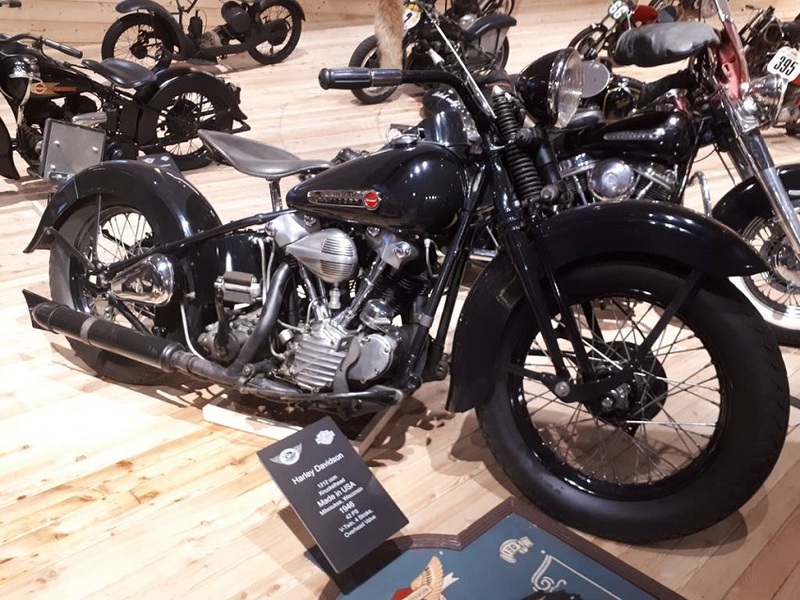 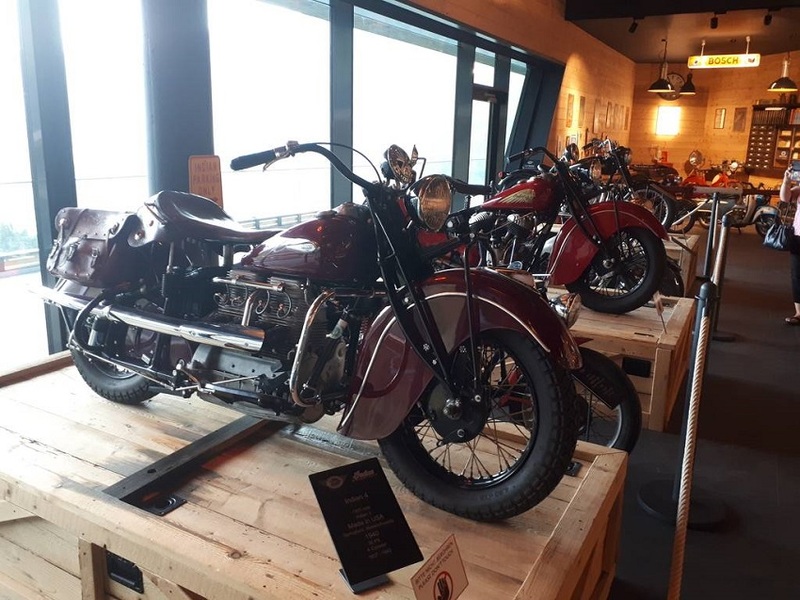 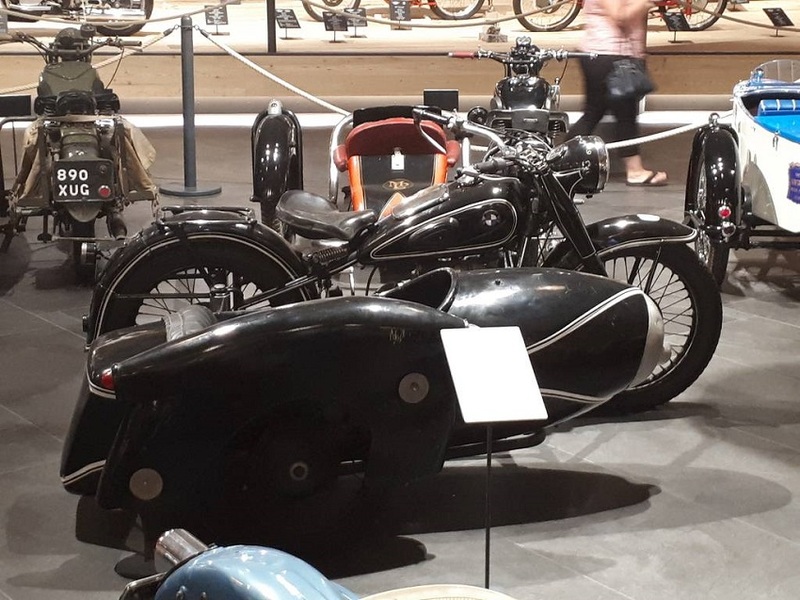 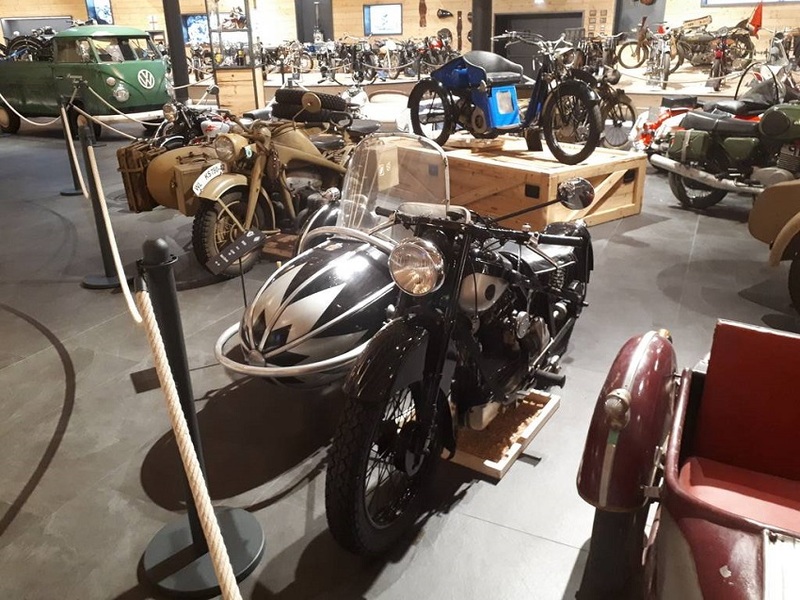 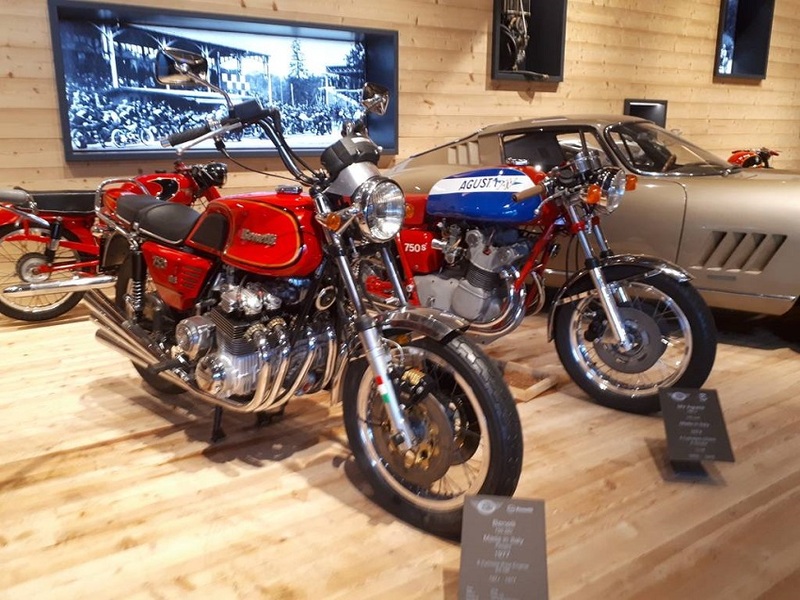 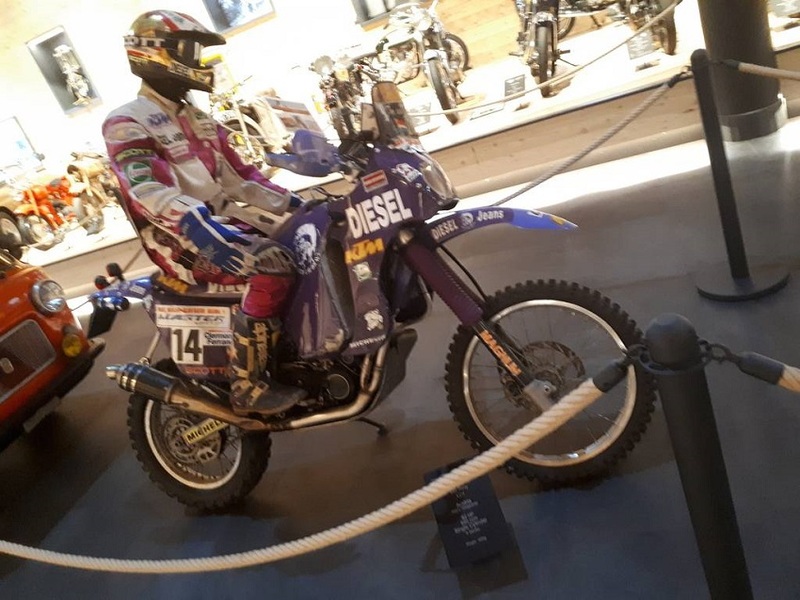 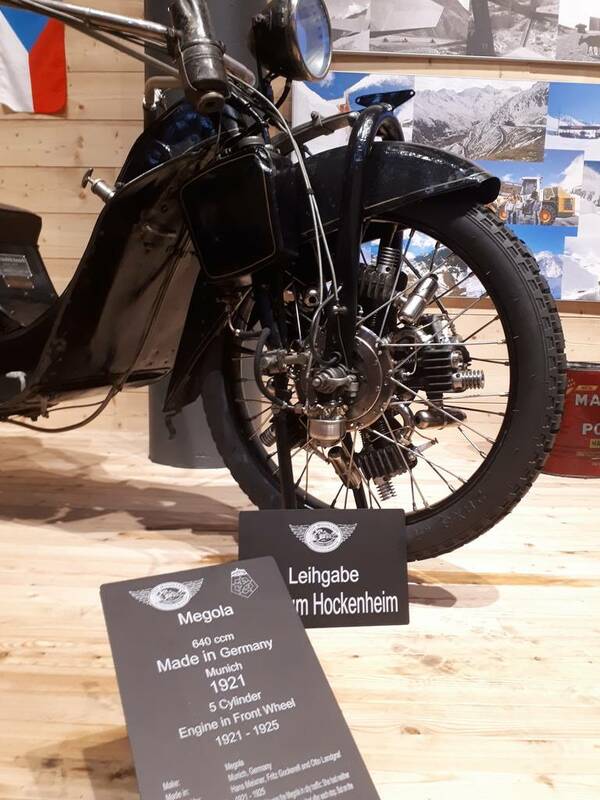 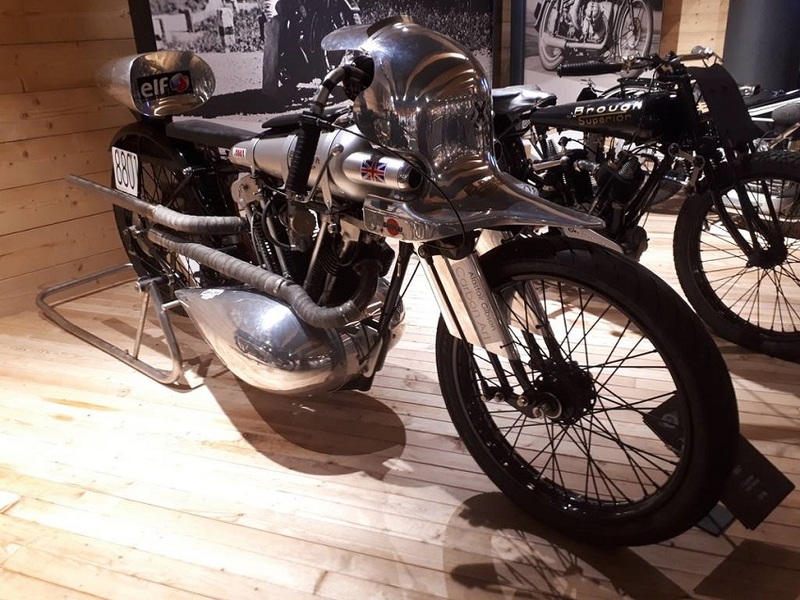 If you get the chance to ride over the Timmelsjoch pass, do take the time to visit the museum, you won’t be disappointed.